A tropical oasis just waiting for you, only 10 minutes from the heart of Darwin is Discovery Parks – Darwin. 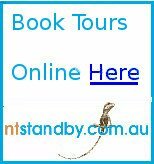 This is the closest park to Darwin City and an essential destination during your Top End adventure. 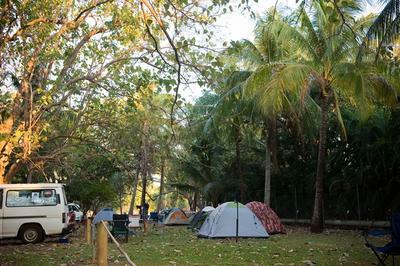 Situated in lush, tropical landscaped gardens and giant shady trees, our park offers ample and spacious accommodation. Choose from a studio, cabin or villa, as well as powered or un-powered sites ideal for holidaymakers or workers alike. 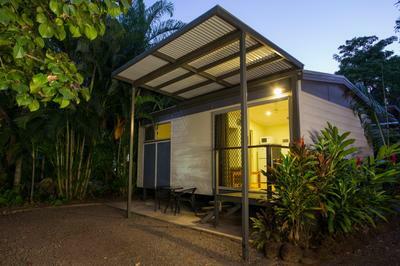 You’ll love the range of facilities, including the convenience of a full laundry with coin operated washing machines and dryers, the spotlessly clean amenities and fantastic BBQ area. Indulge yourself and relax in a sun lounge before taking a dip in our sparkling pool. There’s easy internet access from the kiosk and lounge area and ample parking. 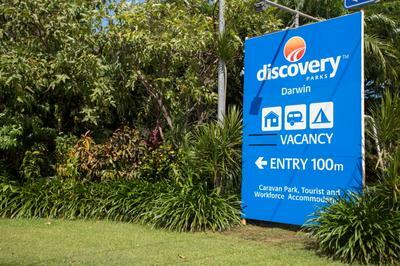 Recently had the misfortune to stay at the Discovery Holiday Park in Darwin, the park itself is extremely untidy and needs a good clean up (the gardens are a disgrace and the permanent residents vans look like they have been there for about 50 years with junk everywhere). Found one staff member who was extremely helpful but the others couldn't have cared less, they would stand at the checkin counter and talk to each other rather than serve the person standing in front of them.